Description: This very interesting 38 long rim. Fire multiball cartridge is loaded with three round balls in a green paper wrapper with slits in side and top. 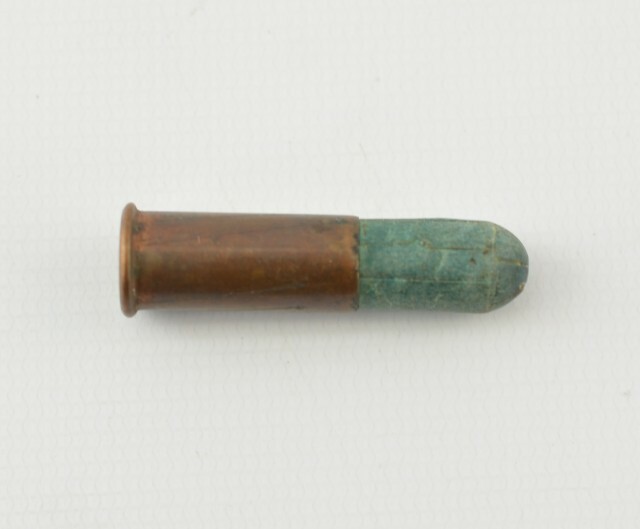 This was loaded by Phoenix Metallic cartridge Co (1873-1891) and is shown on page 113 of Barber's Rimfire Cartridge in the United States & Canada. Page 116 of same volume shows an X-ray of this round. 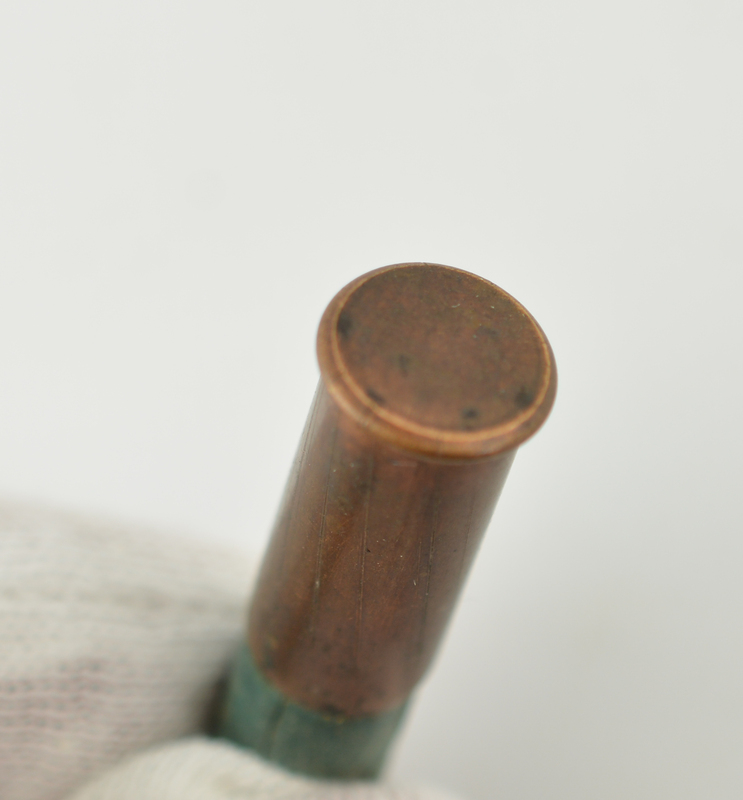 The case is copper, with no headstamp. 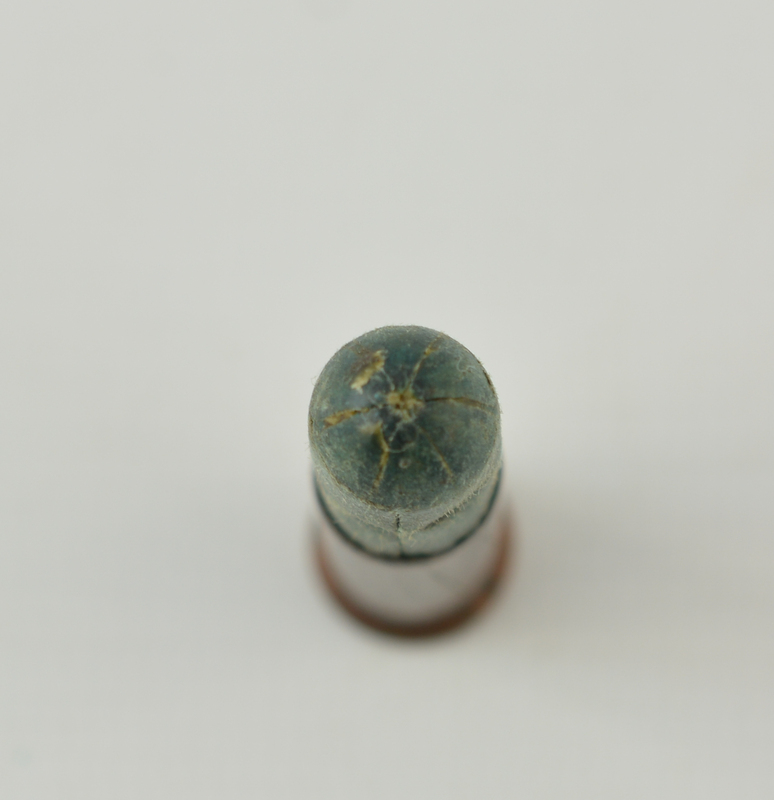 This ammo remains in very good condition with light stains on case and nice color on paper.